Rocket Scientist Henry Johnson (one of the first 3 engineers to work on submarine launched ICBMs), felt that getting old is for the birds, so he grabbed an Oreo and headed for the pearly gates. Born to Henry Johnson Sr and Elizabeth Magdaline Ready-Johnson, in Hartford Connecticut. He is survived by his wife, Diana; three daughters, Jo Anne, Janel and Suzanne; grandchildren and extended loving family. He was preceded in death by his first wife, Lorraine; two sons Henry III and Jeffrey William. A veteran of WWII, Henry went to occupied Europe with the Army Air Corp where he won enough money from a poker game to buy his first camera. Henry was a tall guy and an avid photographer, he didn’t let backing off a mountain stop him from getting the right shot. A molasses-chip candy and a rugelach (cinnamon roll-up) connoisseur, he explored and camped in our national parks with his camera in hand; telling great dad-jokes along the way. He built his own Windmill class sailboat # 934 which he sailed with his family in Lake Tahoe and off the California coast and cross country, and built an El Toro single man sailboat, which he used to race competitively under the Golden Gate Bridge. As a young man he enjoyed marksmanship competition. 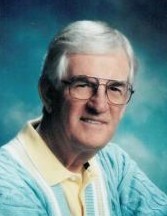 He loved playing golf with his friends, reading books and the daily paper-getting his kids hooked on reading the comics. He spent a lot of time attending dance and piano recitals and school programs. You got a hole in one, dad. Funeral services will be held Friday, November 23, 2018, 11:00 a.m. at the Brighton 5th Ward, 2301 E. Bengal Blvd. (7600 S.) with a visitation the day of the service at the church from 10-10:45 a.m. Interment Elysian Burial Gardens.